From the planning phases to the event itself, Touch of Sound works diligently to bring our client's vision to life. What sets us apart? It isn't just the cutting edge sound, video and lighting equipment we offer but also the atmosphere and energy we deliver at every event. We Infuse the spirit of your favorite dance venue with a touch of elegance to create timeless memories. Our goal is to surpass your expectations! "Fun, professional, and gets people on their feet! Marlon Almonte is a true professional and is honestly the best DJ out there! He is flexible and accommodating during the whole planning process while also giving guidance if/when necessary. I didn't know if I wanted to have a Photo Booth until a few days before the wedding and he was patient and understanding while my husband and I made our decision. I also felt like he was incredibly capable and knowledgable of how to blend my husband's and my eclectic tastes as well as catering to our American and French family styles. If you go with Marlon, he will get everyone dancing! His MC style allowed for him to direct the crowd when necessary but also allowed dancing moments to happen without excessive commentary. I'm so pleased that we went with Marlon and this was one of the easiest vendor decisions to make! " The right energy for the Job! "Touch of Sound was absolutely amazing! We met with Marlon (who was our MC) a couple of times prior to our wedding and he was extremely professional and detailed and was always very responsive. Him and the DJ did such an incredible job of keeping all of our guests on the dance floor. All of the music was fantastic and Marlon has an incredible MC/announcing voice on the mic! Marlon was great about motivating people to get out onto the dance floor and keeping them out there and during the line dances he was on the floor showing everyone how to do the steps. The whole night flowed very smoothly and we have received a ton of compliments from guests saying how fun our wedding was and how amazing the DJ/MC were and how amazing the music was. 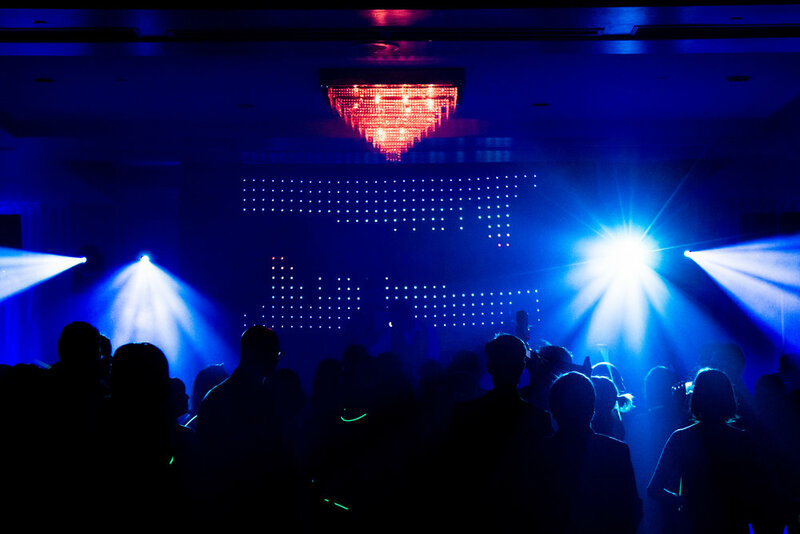 Touch of Sound also provided uplighting and our ballroom looking amazing! I would 100% recommend them. " 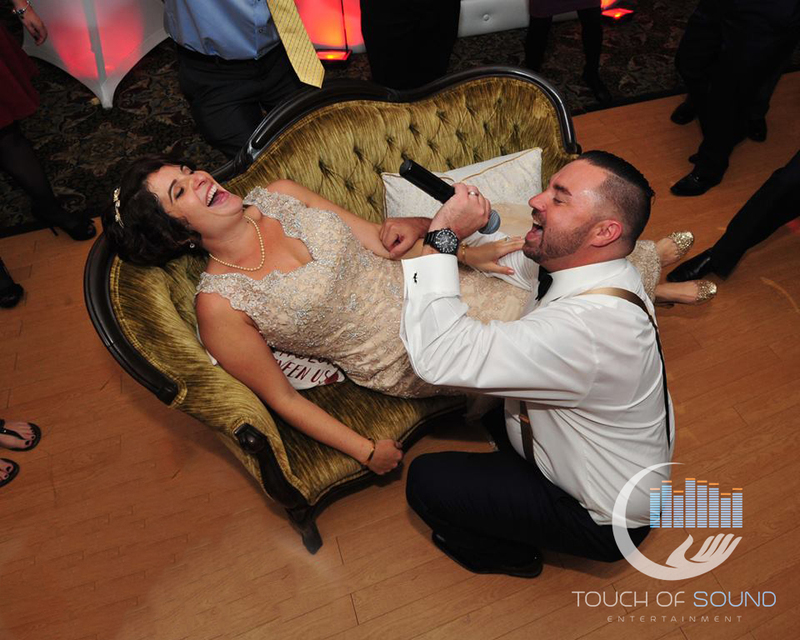 "Touch of Sound was absolutely fantastic! I was very worried about making sure everyone was dancing the whole time (I hate boring weddings) but still having the formalities (sitting while eating, cake cutting, etc.) Marlon and his team was great and getting people up to dance - - even my dad was impressed and said something about it after. Everyone danced the whole time (other than when they were supposed to be sitting) and people have been absolutely raving about how fun my wedding was. I ended up not adding that many songs to be played but more told Marlon what I wanted for each segment and he completely delivered. Leading up to the wedding Marlon was extremely responsive despite my numerous scatter brained e-mail and met us shortly before the wedding to go over everything. And the photo booth! My husband initially did not want one but after we got the pictures back he admitted he was glad we did it. Absolutely book these guys, they are great. When choosing a DJ I got some other quotes that were nearly twice as much and went to a wedding where one of those DJs were DJing and mine was SO much better. Marlon and co deliver top notch services at a great price. Highly highly recommend. !